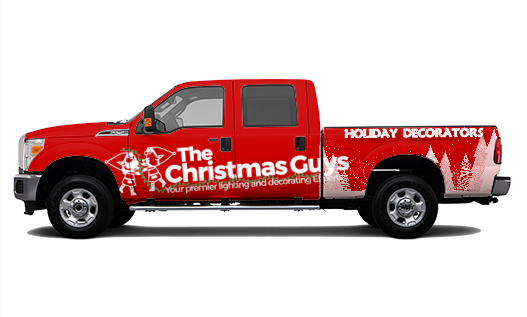 The Christmas Guys™ is a one of a kind Christmas light installation company that was officially founded in 2009 by Matthew Martoccio and Michael Carlson. Matthew was inspired to start the business after years of decorating not only his home, but those of his family, friends and some neighbors. The dream of a Christmas light installation business came about while decorating in 2008.? It wasn’t until the following year Matthew approached Michael, friend, business partner and fellow decorating enthusiast, about the dream of a Christmas light installation business. Michael jumped on board and the dream and ideas grew from there. We offer a special service to our area. We decorate and help decorate homes and business (inside and out) for the local Capital Region! We are a locally run business and residents; we are not a franchise of any sort. We understand that many people would love to have a nicely decorated home or business for the Christmas and Holiday season but for various reasons just can’t do it themselves. If you do not have the tree and/or decorations we can pick it up at the store and include the cost in your estimate and invoice! Again, We are local residents here in the capital region and we absolutely love the Christmas season. We don?t want to sit by and let the traditions of the past pass away. We hope to hear from you very soon! Whether our Christmas light installation services are needed or not We hope you have a wonderful Christmas season and enjoy that ?good ol? fashioned goodness? that it so often inspires, God Bless!